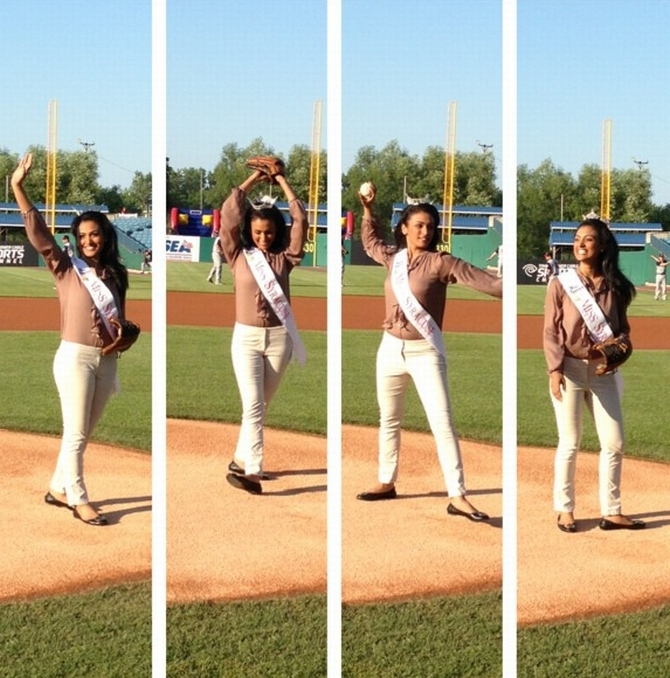 Newly crowned Miss America Nina Davuluri has hit headlines across the world, like only a few beauty queens have. Along with the crown came controversies, as the Indian-American dusky beauty faced racist slurs for her heritage. But leave aside all the glitz, glamour and Nina is like the girl next door who loves her coffee, sunglasses and shoes. Here are some candid pictures of Miss America, a few from before her glory days. 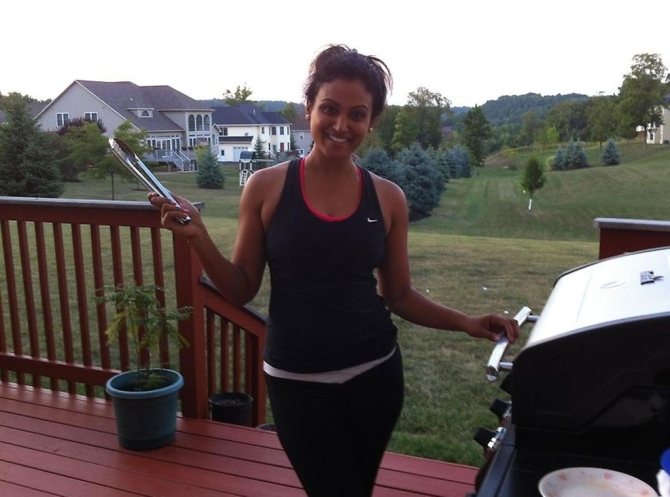 A beaming Miss America Nina Davuluri is seen at a gas station tanking up her car. 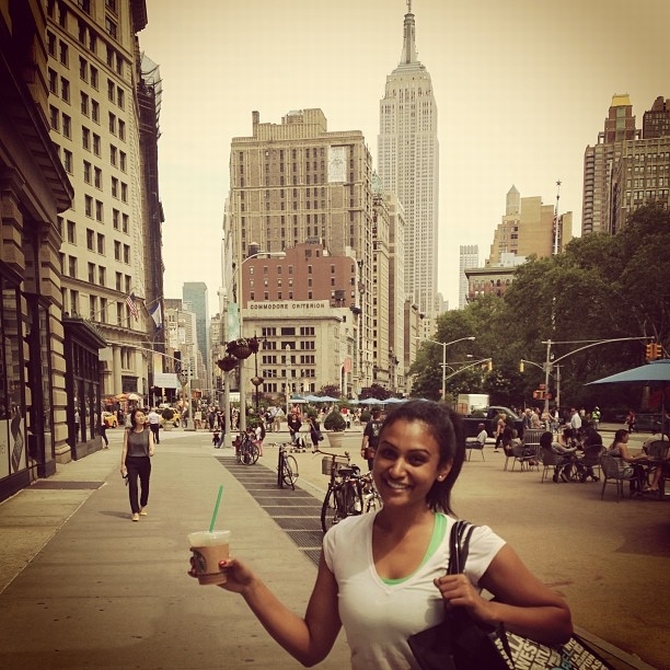 Nina poses with a take-away coffee near the Empire State Building in New York. It’s some great news from the pageant organisers in her mailbox that has Nina all smiling. Nina enjoys the beach after she takes a dip in the Atlantic Ocean at Atlantic City Boardwalk Hall in New Jersey. Nina with her BFF. Looks like they are all set for a fun night out! Nina enjoys a sunny afternoon in New York. 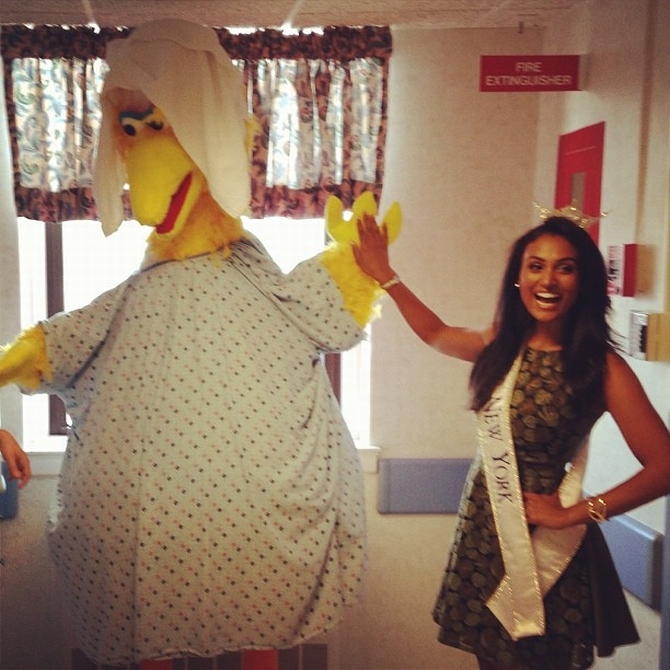 Nina’s high-five moment with Sesame Street’s Big Bird. She surely must be a fan! Nina has a field day, quite literally. Here in a series of pictures posted on her Facebook page where she is seen trying her hand a baseball. 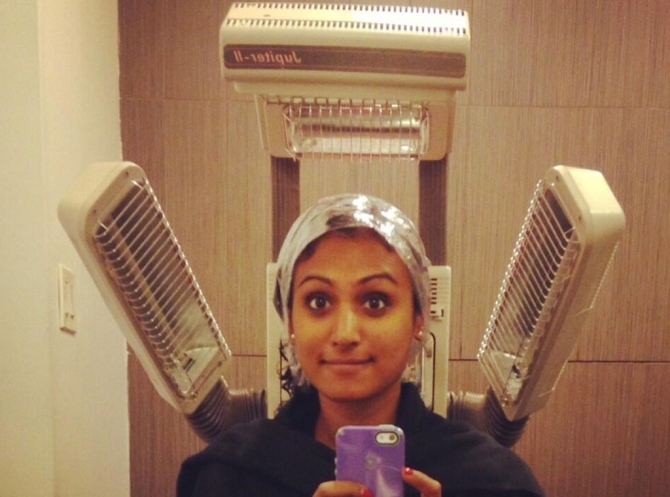 Nina is playing on her smartphone as she gets a hair treatment in a salon. Nina is seen experimenting with cooking in this picture seen on Twitter. 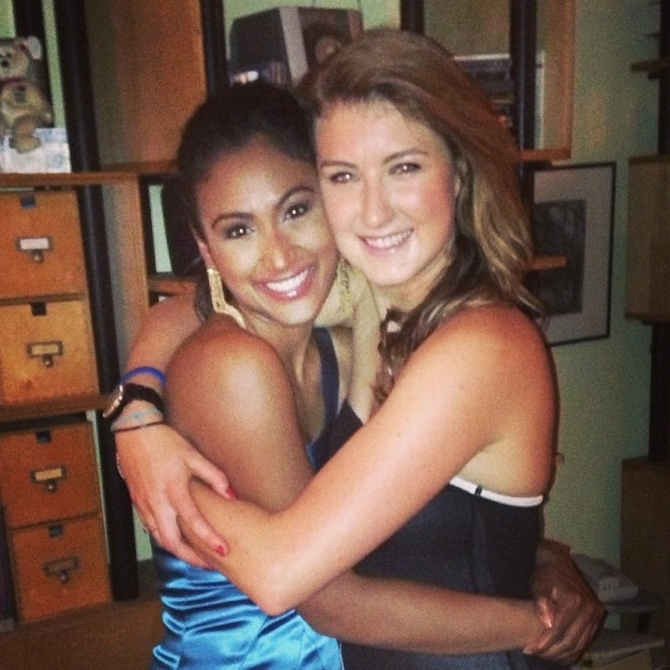 Nina and her fellow contestant from Maryland are on a shopping spree. This picture was posted on her Facebook page during the competition. Nina is all smiles as she hugs one of her best friends. 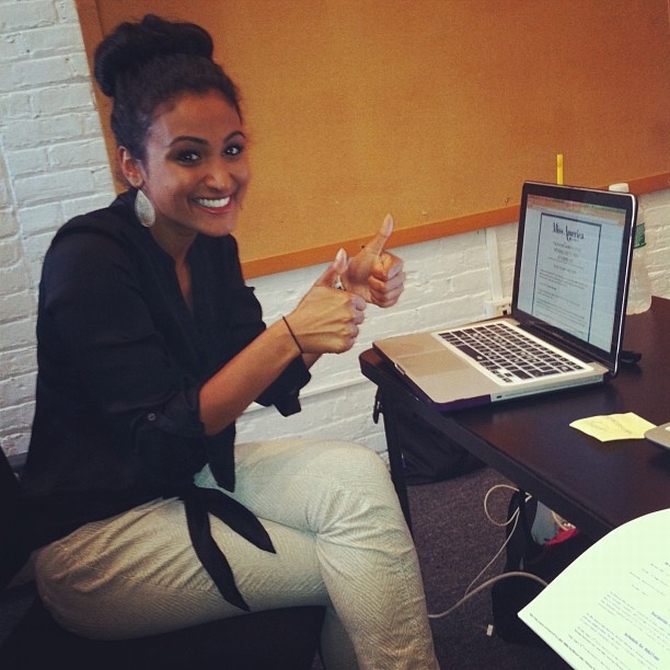 Indian-origin beauty wins Miss America crown!